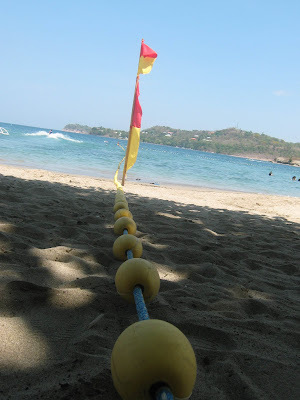 We were at a beach in Nasugbu, Batangas last Labor day weekend and here are some Mellow Yellow shots for you! And this one caught my attention. These old ladies cant keep themselves from the water and it was so hot! I so love their idea of bringing their umbrellas to the water. Ha ha! Enjoy! They stayed at the water long enough to enjoy it despite the heat! 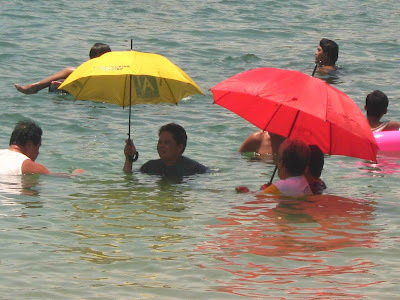 While I didn't even took a dip, the water looks inviting from where I was, just looking at the umbrella-ed ladies! Cebu Pacific 50% Off Seat Sale!